A team of experts has received £3 million in funding to help UK farmers reduce the ammonia emissions produced through agriculture. The scheme, named the Catchment Sensitive Farming, was launched on 18 September through a three-way partnership involving Defra, the Environment Agency and Natural England. According to the UK government, farming produces around 88 percent of the country’s ammonia gas emissions. These emissions can travel long distances, forming harmful particulates with other pollutants that damage environmental and human health. “As custodians of the land, farmers have an important role to play in protecting the environment. But reducing ammonia emissions can also bring real business benefits,” said Bob Middleton, programme manager of the scheme. Farmers expected to benefit from the assistance will use the Code of Good Agricultural Practice (COGAP) for Reducing Ammonia Emissions to achieve more sustainable targets. Specialists working as part of the newly-funded team will provide training events, tailored advice, individual farm visits and support with grant applications, all funded by the programme. 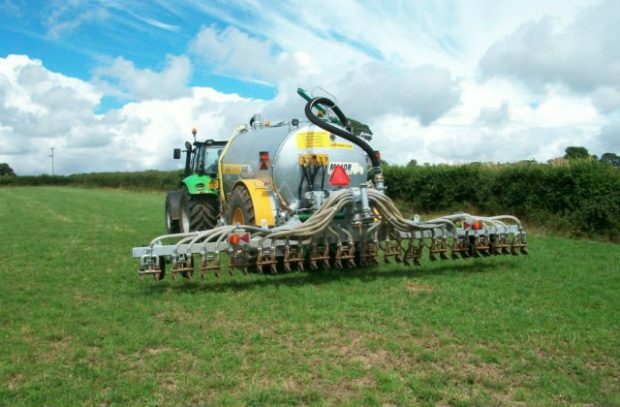 The amount of nitrogen lost to ammonia emissions in the UK amounts to £138 million per year. The scheme is also designed to save farmers money by reducing the cost incurred through emissions and increasing the value of their fertiliser. George Eustice, UK Farming Minister, commented that the specialist team will “advise farmers on steps they can take, such as improved slurry handling facilities, and grants are available where investment is required”. The UK’s government’s Clean Air Strategy has been welcomed by the World Health Organization, with the new scheme following a landmark Agriculture Bill to set out ambitious proposals to protect the UK environment. Next articleIs your water pricing strategy right?